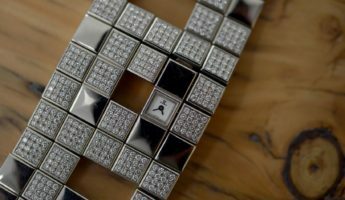 A bunch of gold chains with diamonds in them might be the most wasteful and ostentatious form of bling, but for the thinking man who wants to show conspicuous consumption, a decked out watch is even better. While necklaces might show off your riches, there’s a low-class association with them. It’s thought to be a “Nouveau riche” move to garb yourself in garlands of jewels. 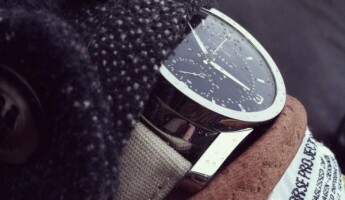 Yet, doing the same thing on a timepiece is considered an act of power as much as opulence. Only major players try it. 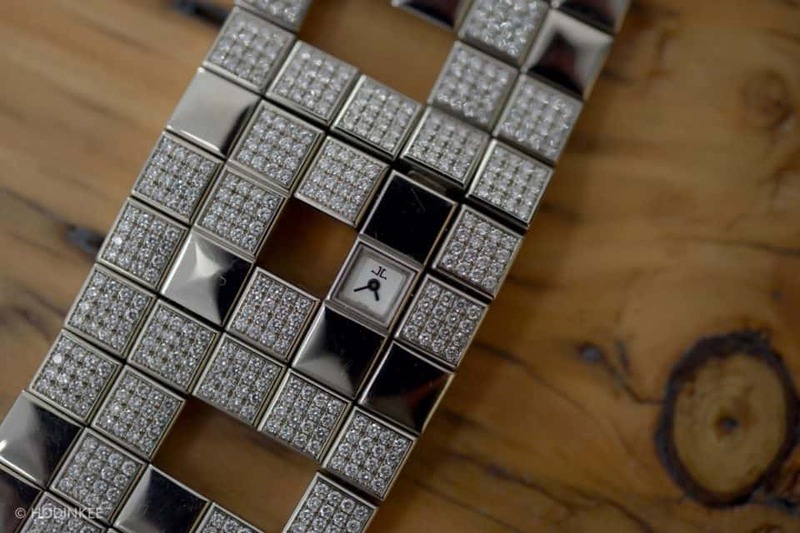 Each of the watches below has been custom made for the true 1-percent, who have nothing better to do with their money than throw it away on a bedazzled bit of shine for their wrist. Wasteful jewels harvested through all manner of unconscionable practices went into each, to say nothing of the blood, sweat, oil, and corruption behind the gorgeous faces. 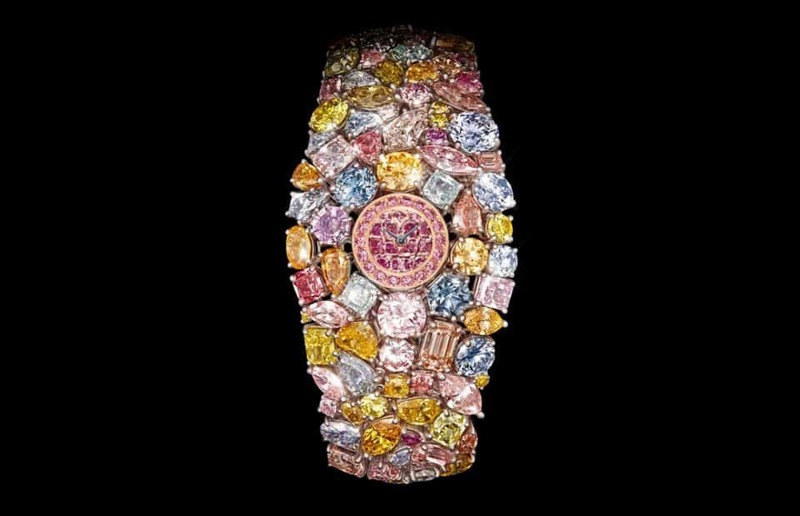 These are the 11 most expensive watches in the world. 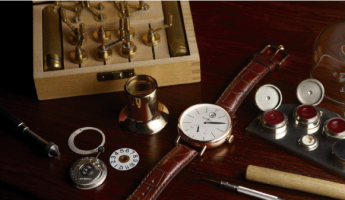 The materials and craftsmanship that goes into each watch here is extreme. Being able to work in jewels of various kinds, and still get the mechanics of the piece to operate with smooth efficiency requires the touch of a master. Many times, the craftsmanship that goes into making these pieces isn’t carried out by artisans who could even afford their own work. Being adorned with precious gems drives up the price, certainly, but don’t ignore the labors needed to make each of these actually work, and not look like a clunky piece of overworked, overpriced fringe. 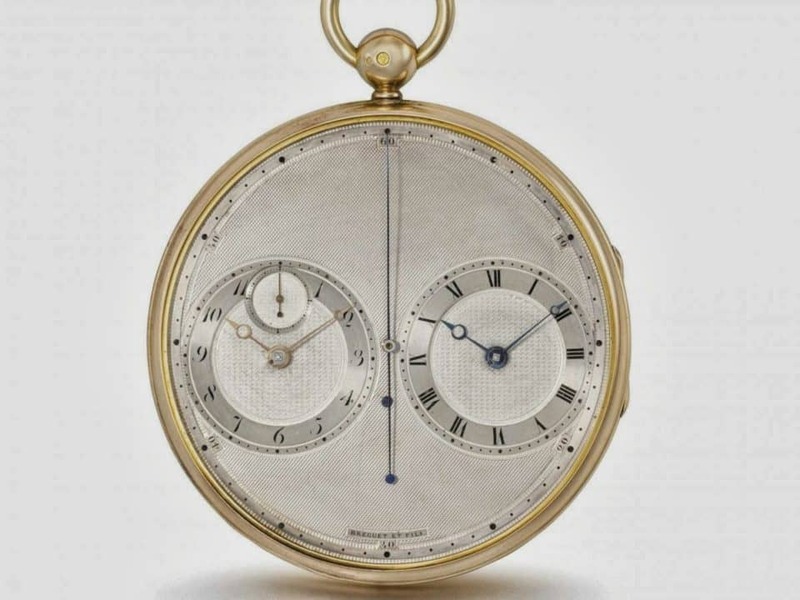 An antique that is remarkable because it bears two oscillating bodies inside it, the Number 2667 is an experiment that changed the watch game in many ways. 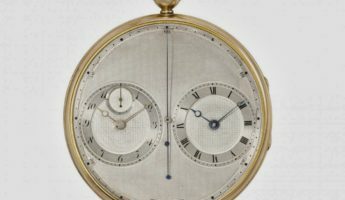 The unusual movement comes from workarounds used when it was made in 1775, which gives the hands their unique operation, and gives a weird vibe to the whole procedure for telling time. A pocketwatch, a stop watch, an innovation that may be a complete failure, the 2667 has strange to spare, but makes it among the most fun of the costly watch variety. The Oyster has only been accruing acclaim since it first launched. 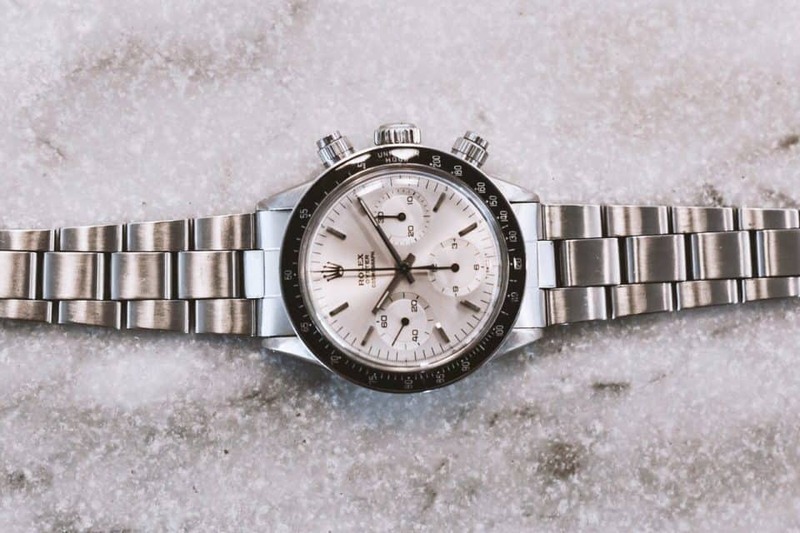 Now a former watch owned by famed guitarist Eric Clapton, as well as one of only four watches classified as “Albino” by Rolex, this is the major brand oddity standout that most collectors only dream about. The silver dial with silver chronos is what marks this as an anomaly, and makes it such a prized piece of unusual pearlescence. 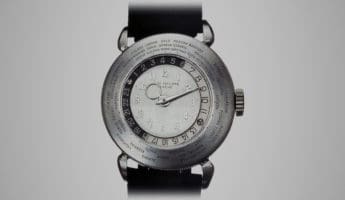 Constructed out of platinum in 1939, and showing the hour in 42 major countries around the world, the World Time has been duplicated often. 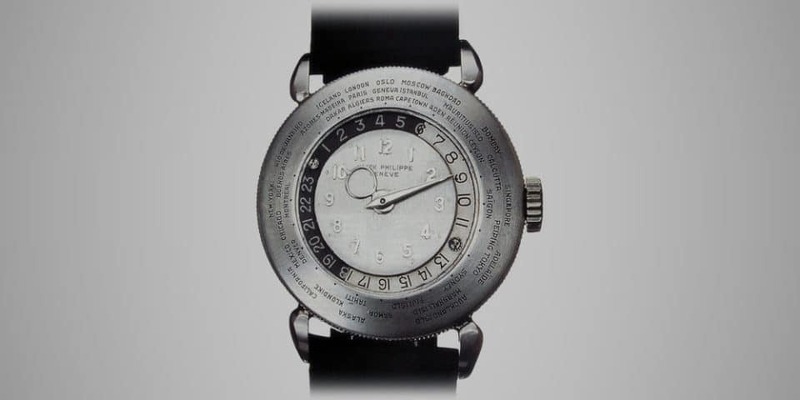 What no one has done is emulate the craftsmanship that went into making this horological wonder. 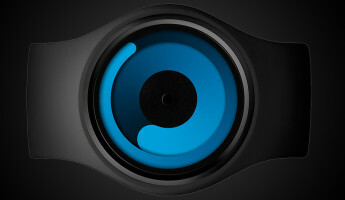 Rotating the unusual bezel will let you change the location and hour, without ever touching the crown. Handy for the jet-setting millionaire who wants a watch too expensive to wear while on the road. 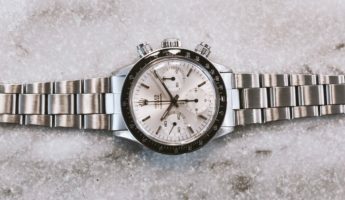 Terrestrial stones are what many of the more expensive watches use, as if adding a lot of rocks makes something unique. The Meteoris line is truly different. To make it, Louis Moinet partnered up with Luc Labenne to find metals from space. Locating a piece of meteorite from Mars, Earth’s Moon, and a meteor, he crafted three Tourbillon watches. Able to fight gravity, and bearing debris from beyond, the Meteoris lineup is well worth the millions to buy them. 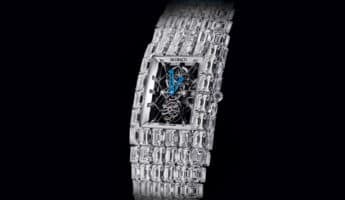 Exactly as boring as you’d expect a watch made for a “billionaire” to be, there’s a lot of diamonds being thrown around here. 260 carats of dull shine make up the body, all arranged in a staid, unremarkable configuration. The exposed mechanics on the face are far more interesting than the pale white gold around it, and frankly the Skeleton Manual Winding movement is more interesting than the clear gemstones. Costly, but otherwise plain. 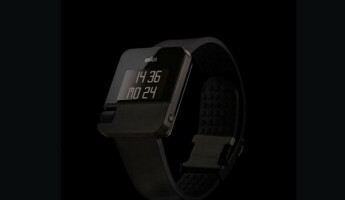 These are the watches that are really interesting. 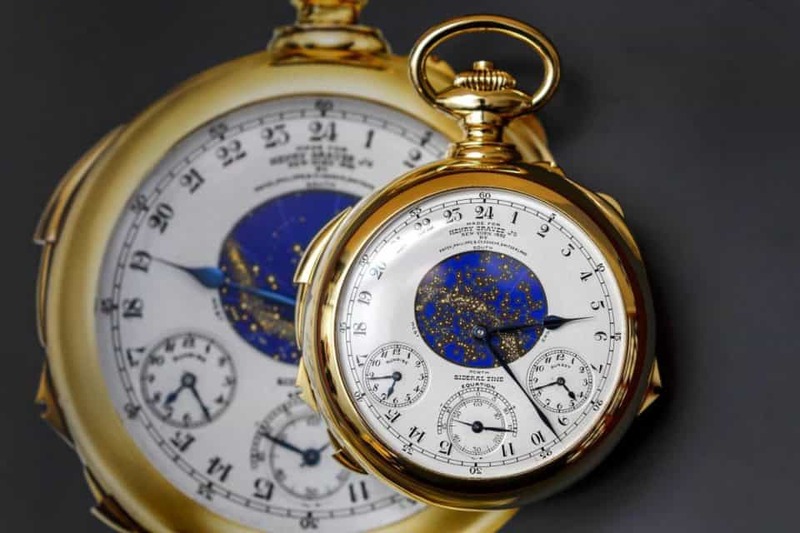 Coming out of a commission from 1925, the goal of the Supercomplication was to add as many complications into the mix as possible. 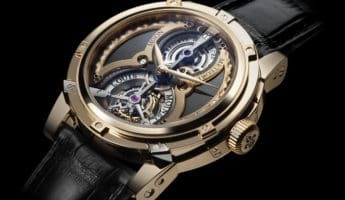 It has a stunning 24 complications – a complication being a function aside from telling time – which is the most of any in the world. Made with spite in mind out of 18-carat gold to be needlessly intricate, there are flashier pieces out there, but nothing as pointlessly involved. 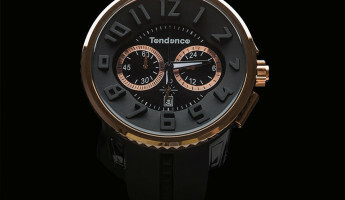 A spring-loaded mechanism pushes back the glittering cover of the watch face. 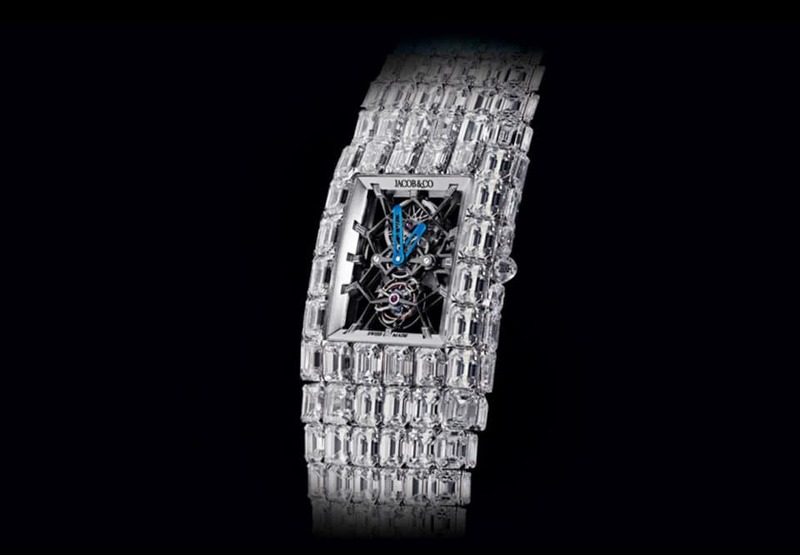 Otherwise the Chopard looks like a bundle of diamonds strapped around white and yellow gold workings. Comprised of 260 flawless D-color, pear-shaped diamonds and 91 round D-color flawless diamonds, there’s no shortage of sparkle to be had. Like many of the jewel-encrusted variety, it looks tacky rather than classy, but costs a pretty mint. 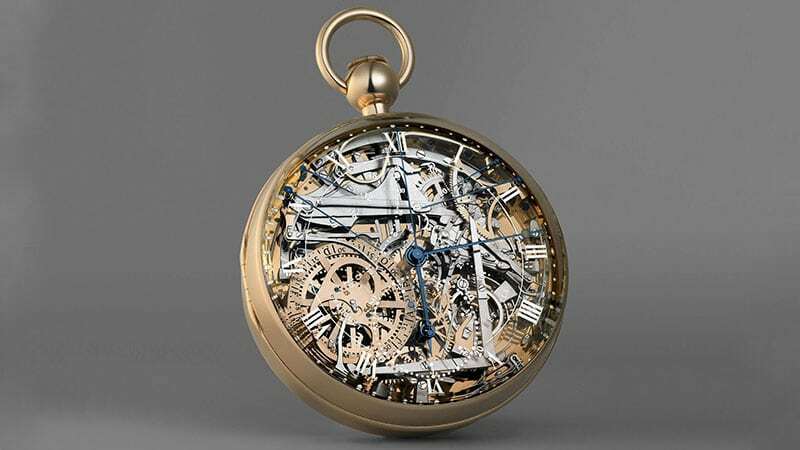 The now headless Marie-Antoinette was said to be in love with the works of Breguet. 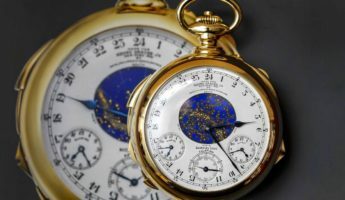 An admirer of hers, lover of her work, or perhaps rich sycophant reached out to the company to craft a timepiece that used gold as much as possible, and employed the most technically complex mechanisms of the era. Without a price tag, the excessively complex Grande Complication was born, and the world rejoiced. Diamonds, diamonds, everywhere. The Fascination has a frosty look that comes from a series of sourced and specific diamonds in highly precise cuts. Unlike Graff’s Hallucination, below, the look here is one of icy cleanliness. 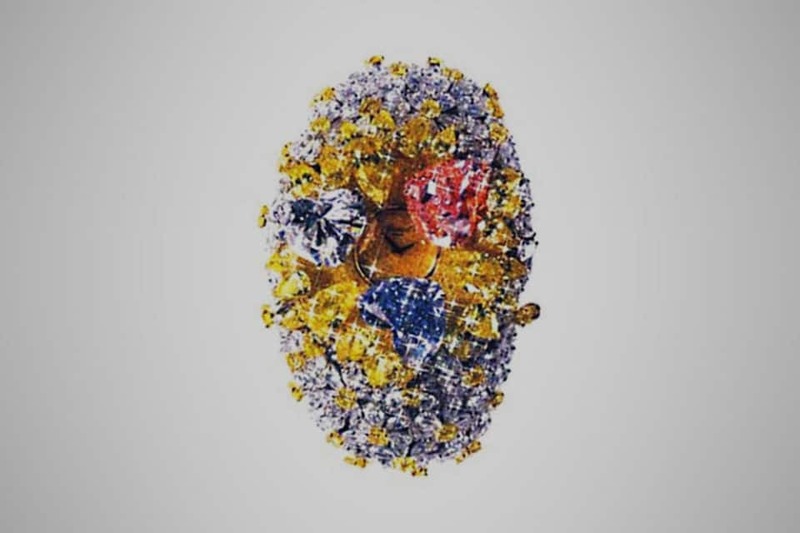 Big stones are arrayed like a Japanese rock garden outside the face, while the inside is a treasure trove of smaller stones littered about the hands, threatening to interfere with its basic operation as a time device. 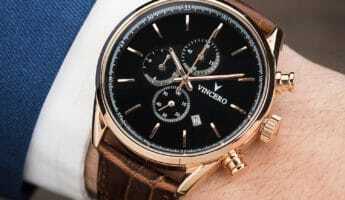 Here’s what you’d expect from an overpriced watch. The Hallucination is a headache of precious stones, all of them diamonds. 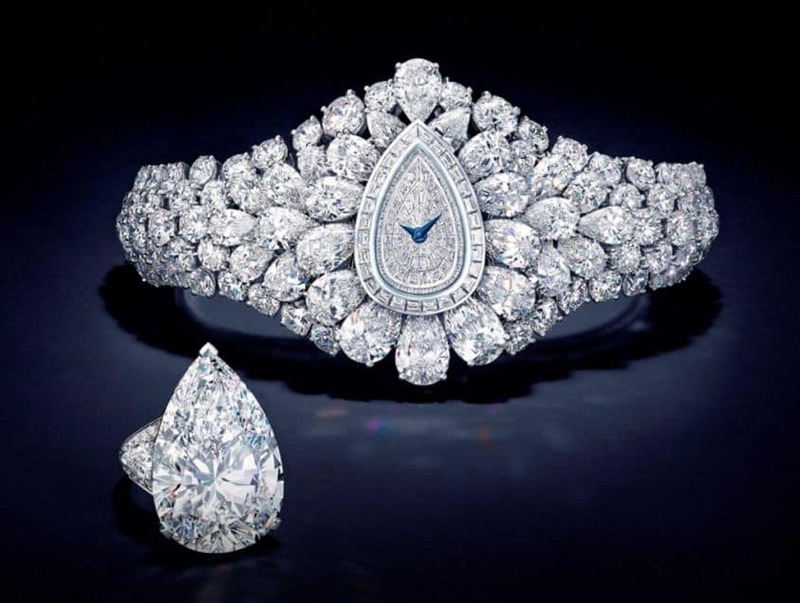 The 110 carat stones are colored diamonds that have been drawn from every corner of the globe. 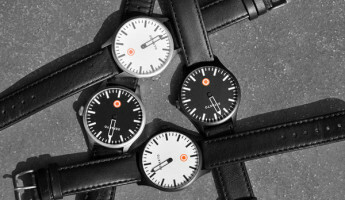 Wherever Graff could find some excessive carbon that had taken on a pretty shade, it snapped it up and stuck it onto the watch. It’s an ugly, clunky mishmash, but the range of stones makes it awfully costly. 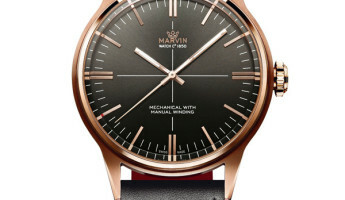 Made by one of the true masters of Swiss watch engineering, the 101 is technically priceless. 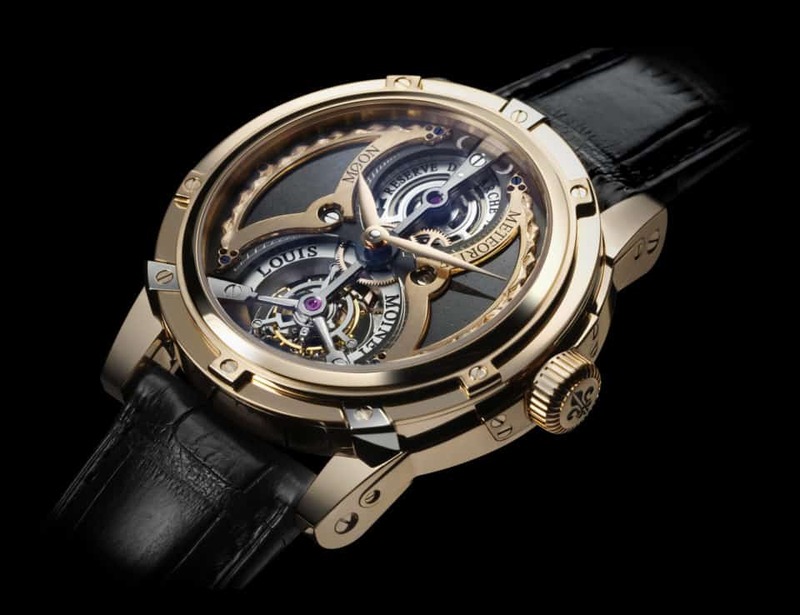 Looking at it, you can’t even fathom how this is a watch, much less one of the best in the world. What you’re looking at is diamond pavé and grey gold worked to perfection around one of the smallest timepieces in creation. Made in 1929 to show how small the machinery of a watch could be, this trumps everything but microchips for a lot of power in a small package.